Jesus said that we are to make disciples by going, teaching and baptizing. (Matthew 28:19). In that Great Commission, making disciples is the key. The work of the church is always to be building disciples. Yet, there are times when I wonder if the body of Christ is more concerned with making converts than with making disciples. At the same time, there are many churches that have little to no evangelistic fervor. I was recently told of a church that was doing a phenomenal job of seeing people introduced to Jesus. The church was evangelistic to the core and God was using them mightily. But then the person said that this church has no vision for discipleship. This person lamented that although people were being saved (which was a great joy), the young believers were stuck in infancy. I then remembered hearing a pastor say, “You shouldn’t share the gospel with someone unless you are committing to discipling them also.” Now, I don’t know if I agree with the sentiment. But the pastor was trying to get across the responsibility we have, as believers, to not only share the good news, but also to take an active concern with someone’s progress in faith. In many ways, it we are keeping the main thing the main thing within the church, we need to be intentional in building disciples. Realistically, if we are seeking to make converts, we are doing that so that they can become disciples. Their salvation is the starting line for their life of discipleship. So it isn’t an either/or reality. Instead, evangelism and discipleship are like matched gloves, both equally necessary for the work of the Lord. So here are some quick thoughts about being intentional in discipleship. 1) Understand where your gifting is. 2) If you are strong in evangelism, seek out a compliment in discipleship. And vice versa. 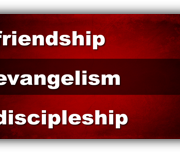 3) Make a commitment to both evangelism and discipleship. 4) Gather a tribe to pour into (like Jesus did with his 12). 5) Always remember, there are more fish in the wild then in the ponds. 8) Remember that Paul didn’t just share the gospel but also his very life. 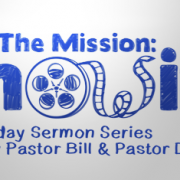 9) Make discipleship as much a part of your ministry as preaching. America has experienced significant revivals in her short history. Most notable among them are the 1st and 2nd Great Awakenings (18th and 19th centuries)—revival scholars such as J. Edwin Orr name several others as well, including the Pentecostal and other significant moves of God in the early 20th century. These revivals were characterized by large numbers of people repenting of their sins and confessing faith in Christ. Whole regions were radically affected by this turning to God. Taverns closed, divorce rates declined dramatically, violence and murder waned, drunkenness decreased. Churches filled up, with a notable hunger for prayer, Biblical preaching, and Christ centered evangelism. 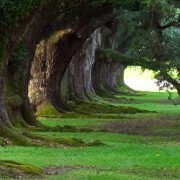 (For a brief history of revivals in America, read http://www.peacekey.com/1-1-a/OSAS/Revival_Prayer_1.HTM). 1. Confess all known sin. 2. Deal with and get rid of anything ‘doubtful’ in your life. 3. Be ready to obey the Holy Spirit instantly. Let’s fast forward to our present day. In some parts of the world, revival-like conditions exist. Perhaps even in the U.S. there are pockets of revival in a few places. 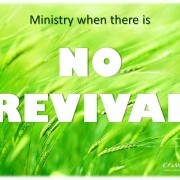 But overall, we who minister in the U.S. are ministering in non-revival conditions. Evan Roberts’ four points do not generally describe the way things are in our churches. When these things are seen today (in individuals or in small groups of individuals), they are viewed as exceptional … definitely not the norm for 21st century American Christianity. Confession of sin? Sins are renamed and are viewed as mistakes. Getting rid of things that are doubtful? Today’s believer wants his/her liberty, and wants it now. Instant obedience to the Holy Spirit? Hardly. Confess Christ publicly? Most believers never share their testimony or the gospel. With anyone. I hope I’m not jaded, but that’s how it seems to be, at least to me. According to one author’s intriguing book Not a Fan (Kyle Idleman), Jesus has lots of fans, but not too many followers. He writes about a guy who had been attending the church where he pastors. This fellow sent in an email asking to be removed from the church membership. His stated reason? “I don’t like Kyle’s sermons.” Curious, the pastor found this man’s phone number and called him. “Hey, this is Kyle Idleman. I understand you’re leaving the church because you don’t like my sermons.” After a brief silence and some rambling, bumbling words, the man complained like this: “Well … whenever I listen to one of the messages I feel like you are trying to interfere with my life.” Bingo! As Idleman says (representing what we pastors are supposed to do), “Yeah, umm, that’s kind of like my job description.” This ex-church member was a fan of Jesus, but not a follower. Of course Jesus interferes with our lives! That’s the core and essence of discipleship. My question has been (and still is) … how do we do pastoral ministry in a non-revival age? I’ve some suggestions, maybe we can banter this around a bit. We need to start praying for revival, begin a prayer movement. Recently, I listened to the audio reading of David Platt’s radical book, Radical. It moved me. I need to be that guy. Not David Platt, but the radical disciple. I need to be an authentic Christian. I need to live in the new covenant. I need to confess sins, a lot. By living this way I’ll be more understanding, gracious, truthful, and intentional in my ministry to Christ’s people. Preach and teach the whole Bible. Only a whole Bible can produce a whole Christian. Teach and preach the Bible book by book, chapters and verses. Tough to dodge vital issues like sin, repentance, and confession when going through the entire Word. Continue to emphasize the need for a focused, personal devotional life. Those who are seeking to follow Christ need to learn to become self-feeders. Go on short term missions trips to places where revival is happening. There are such places in the 10/40 window, sub-Sahara Africa, and Central and South America. I frequently recall something G. Campbell Morgan one wrote, “The value of distance is perspective.” These trips help me to think on the way things ought to be, rather than on the way things are. Work with pockets of teachable, malleable people. Do 2 Timothy 2:1-2. Not everyone in our churches is cold toward Christ. Those that are hungry and truly thirsty—we should work with them. To do so, we have to drop our expectations of how they’ll fit into our church programs. Instead, we must point them towards reciprocally abiding relationship with Christ … the believer in Christ, Christ in the believer. We must raise the bar, not lower it. No sermonettes for christianettes. If I’m raising the bar in my own life, I’ll know the difference between the heights of that bar. For example, I recently stopped listening to Sports Talk Radio while driving around. It’s not a law for me, just something I felt I needed to do. It was an unnecessary weight (Hebrews 12:1-2). I’m amazed at how much richer my walk is, now that I’m free to converse with and worship the Lord, and listen to His voice. So also, we need to challenge our people. Interfere with their lives a bit. Get around peers in ministry that are en el fuego (Spanish for “on fire” … learned that on Sports Talk Radio). Seriously, iron sharpens iron, we greatly encourage each other as we talk outreach, church matters, ministry challenges, and the rest. Find ways to be healthy … spiritually, emotionally, and physically. It’s easy to dive into depression, I know because I’ve been there. But if I go there, I’m of no use to anyone. I’ve got to be strong in the grace of God which is in Jesus Christ (2 Timothy 2:1). Remember that faithfulness is what Jesus requires of me, not results. If I’m results oriented, I’ll get easily discouraged. If I focus on daily obedience in faith, I’ll be living as Jesus lived, in wholesale dependence upon His Father. Jesus was the faithful Son over His own house, listening daily for the Father’s instructions (Hebrews 3:1-6; Isaiah 50:4-5). Just before Calvary, Jesus told His Father that He’d glorified Him on the earth and finished the work He’d given Him to do (John 17:4). Jesus didn’t do everything that was within the realm of the possible—that which could have been done, but He did do everything the Father directed Him to do. Faithfulness is the key. A few months ago, (May 4, 2012) I wrote a post about my conviction that the U.S. Military, as it exists today, provides an amazingly accurate analogy for what it means to be a follower of Jesus. 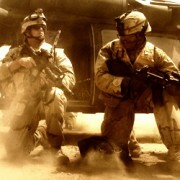 In this post, I’d like to take hold of the U.S. Military analogy one more time, but now I’d like to broaden the scope of the analogy from the individual believer’s walk with the Lord to the ultimate purpose Jesus has for His church that He builds, (hint: He was, is, and always will be The Missionary God). A. To provide each member with specific vocational training and vocational work that will make their post military career much more likely to be successful? B. To provide the opportunity for career advancement, travel, and financial resources for further education upon completion of their term of service? C. To provide the opportunity for travel, first class recreation, decent housing, and all medical and dental needs for its members and their immediate family? D. To willingly obey the Commander-in-Chief of the United States when he deems it necessary for the good of the U.S. that the military actively engage an enemy of this country at any location necessary, even if by doing so, that member of the military might be required to give up his/her own life. Clearly, although the U.S. Military provides everything listed in A,B, and C, above, those things are not the reasons why the U.S. Military exists. Those are all good things, and the U.S. Military spends literally billions of dollars to ensure that those things are provided for its members. But really, those things are more like the “perks” that are provided to those who willingly choose to submit themselves to the ultimate purpose of the U.S. Military, which is letter “D”. I vividly remember the day that I “swore in” to the U.S. Army, at the age of 17, on May 29, 1976, (a month after I graduated high school). All of the cool advertising and various marketing tools used by the recruiter focused on A, B, and C. And it sure sounded like those were great reasons to join. But at the AFEES station in Los Angeles on that day, the reality of what I was really signing up for hit me like a ton of bricks as I raised my right hand and repeated the oath of obedience, voluntarily giving over to the Commander-In-Chief at that time, (Gerald Ford…soon to be Jimmy Carter), the authority to send me anywhere he deemed necessary even if it meant my life could realistically be brought to an end in the process. Because of what I understood that I was doing on that day, even at that young age, I’ve always been bothered by those who have joined the U.S. Military as part of the reserves or the various National Guard units. Unless I’m mistaken, they all “swore in” too, taking the same kind of oath that I did. And because that is true, it irritates me to no end that when the wars of the last 12 years took place and they were called upon to transition to active duty and be deployed, a large number of them complained, saying something to the effect of “this isn’t what I signed up for!” Wrong…its exactly what they signed up for! Where did these complaining pseudo-soldiers/sailors/airmen go wrong? They joined for the “perks” and were convinced that the “perks” were the reason the military existed, even though they actually did “swear in” and take the oath. For some reason, they never actually understood or believed that the purpose of the U.S. Military wasn’t ultimately or primarily for their own benefit. Might there be an application here to the local church and it’s members? I’m convinced there is. Have local churches, by over-emphasizing the various ministries they offer for the good and the growth of their own members, actually contributed to a foundational misunderstanding by their own members of the ultimate reason for the church’s existence? I think so. 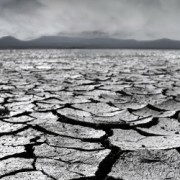 Have the leaders of local churches inadvertently communicated to their members that the “perks” of being a member of God’s Kingdom and a part of their local church are what is ultimately important and thereby relegated the actual ultimate reason to a “perk” that the members of the church have the option to participate in or not? Again, I think so. And if the above two observations have any validity, might it not also be valid that the pastors and church leaders have contributed and communicated these things because they themselves believe the “perks” are what’s ultimate? I’ve probably stirred enough irritation with this post so I’ll shut it down for now. But I will expand on these things in my next post by spending a bit of time pondering U.S. Navy aircraft carriers and some principles they operate by that perhaps pastors and church leaders can learn from. http://archives.crossconnection.net/wp-content/uploads/2012/09/military2.jpg 250 628 jeffjackson http://archives.crossconnection.net/wp-content/uploads/2014/10/cc_network_logo.png jeffjackson2012-09-21 07:29:372012-09-21 07:29:37When the "perks" become ultimate, the ultimate becomes a "perk"
When I entered ministry almost twenty years ago it was right in the middle of the Attractional or Seeker Sensitive movement. There was a lot out there on how to program you ministry right down to the very last detail. Being fresh out of college without any ministry training or education I kind of got swept into it, except for one small detail, I wasn’t very good at it. It threw me into quite the quandary because that is what success was being measured by. For a long time I felt like I was in pastoral no man’s land. No man’s land is a metaphor that has been used to describe a lot of situations but to me it comes from the Tennis world. I played in high school and college and no man’s land was the area between the baseline and service line. You didn’t want to get caught in that area because that is where the ball usually bounces and it is hard to return a ball that is bouncing right at your feet. You needed to be behind the baseline where you can hit the ball at the apex or up at the net putting away a volley. If you got caught in no man’s land you usually didn’t win the point. The problem is that many pastors find themselves in pastoral no man’s land. They are somewhere in between in a lot of areas. You can be in pastoral no man’s land when comes to being attractional or missional, being outgoing or an introvert, or being a visionary or academic. If you read popular books they tell you that you must commit to one or the other to be successful. The problem is that it is the Type A personalities who write these books and they are geared towards that style. From their perspective being in no man’s land is ineffective. The fact is that I enjoy doing a lot of things as a pastor. I love studying the Bible and teaching but I don’t want to spend my whole day doing it. I enjoy counseling people but after too many appointments I am drained and think everyone is whacked. In secret, which I never admit at any pastor’s conference, I love spreadsheets, profit and loss statements, and numbers. I like variety but if I listened to other people, which I used to, I would think I am in Pastoral no man’s land. They tell you that you have to do one thing really well and delegate the rest and if you focus on too many areas you aren’t doing anything well. To be honest God doesn’t look for us to do even one thing well. One lesson I have to learn over and over is that “Where I am weak He is strong.” The older I get the weaker I realize am in all areas. I have taken too much credit for any success in my life. It’s when I give up from exhaustion God usually takes over and accomplishes in seconds what I tried for weeks to do. The fact is that we have three callings as a Pastor: Prophet, Priest, and King. Most of us specialize in one of these and struggle in the other two. Neglecting one or more of these areas will eventually take its toll on us or on the ministry God has blessed us with. If you feel like you are in pastoral no man’s land take heart. God may have you there to show His glory through our weaknesses. Stop trying to measure up to other pastors and books. Instead decide to be content where God has you and start seeking Him more for the increase. Have you wrestled through the whole issue of forgiveness? This wasn’t really an issue for me before I became a Christian, but then after becoming a Christian I started to believe we were to forgive with reckless abandon regardless of the situation. As I wrestled through the application of forgiveness Jesus’ words to Peter often surfaced, “I do not say to you, up to seven times [speaking of forgiveness], but up to seventy times seven” (Matt. 18:21). This presented some pain for me as I thought the Christian was to become a human punching bag by enabling an endless cycle of abuse followed by forgiveness. Clearly the Christian has been forgiven much and should forgive as they have been forgiven by Christ (Ephesians 4:32). This point is clear. But what exactly is forgiveness? I have heard that forgiveness is releasing the person who wronged you from owing you anything. I get this as ultimately it helps you not to become an embittered person. But does one-sided forgiveness result in reconciliation? 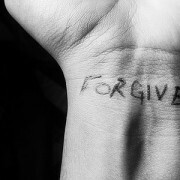 I think it is at this point where we often miss the mark because we think one-sided forgiveness should result in reconciliation, but most times it does not. I find it interesting that the above quote by Jesus to forgive 70 times is found in the context of disciplining one in sin (see Matt. 18:15-20). This is helpful to me as the context gives instructions for how do deal with someone in sin. This is a flowchart to follow in disciplining the one in sin. Jesus clearly instructs an escalation of consequence for the person refusing to repent. If repentance doesn’t occur the person is to be brought before the church and then essentially excommunicated from the body. This seems harsh by our standards today. But Jesus concludes by affirming their decision to discipline by saying, “For where two or three have gathered [the context is NOT prayer, but disciplining a fellow believer] together in my name, I am there in their midst” (Matt. 18:20). Clearly the aim of discipline is reconciliation, but reconciliation seems dependent on repentance. One’s failure to repent often results in the consequence of a broken relationship. I love the instruction the Apostle Paul gives in Romans 12:18, “If possible, so far as it depends on you, be at peace with all men.” This is our aim. The Christian’s hearts desire should be to be at peace with all people. This isn’t always possible. If someone has wronged you, you should seek them out with an aim of reconciling this problem. This might fail. At this point involving a mediator can be beneficial, but still might not result in reconciliation. Regardless of how hard you try the other person may never truly repent and make amends toward reconciliation resulting in the consequence of a damaged relationship. Is it better to be part of a church plant, or an established church? I don’t know that one is better than the other. But these are some observations I have had comparing the two. They are definitely generalizations. Most (if not all) of the bloggers here on Cross Connection are more experienced than I am, so I value the coming comments (both elaborative and corrective). Church plant members have a pioneering attitude. Established church members have a maintaining attitude. Church plant members are more willing to take risks. 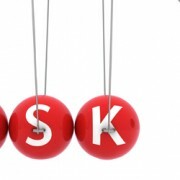 Established church members are afraid of risks, preferring what is comfortable or ‘established’. Church plant members are willing to think in a way that is new and different. Established church members prefer traditions and being able to anticipate the future. Church plant members constantly look ahead to what is going to happen. Established church members often look back at what has happened. Church plant members are sometimes those who think they can make the church the way they want it. Established church members are already content with the church structure. 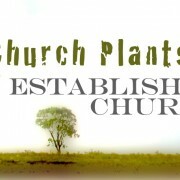 Church plants often lack resources including qualified workers. Established churches are often well funded and have more qualified workers. Church plant members sometimes think they can showcase their talent because the church is usually small. Established churches can discriminate more on who can fill roles because they are usually bigger. Church plants tend to be more missional focused in outreach (going to where unbelievers are). Established churches tend to be more attractional focused in outreach (bring unbelievers to where they are). Church plants tend to have a stronger emphasis on evangelism. Established churches tend to have a stronger structure for discipleship. Church plant members expect something more grassroots. Established church members expect something more professional.